Subscribe to news and product updates from Tiara Fashion Jewellery. Launching Of Princess Collection Set With Swarovski R Zirconia. In GJIIF - Chennai On 21st Sept 2018. By Rajendrajain, Dr.B.Govindan, Mr. Jayantilalchallani, Mr.N.Anantha Padmandabhan, Shanti Kaka Along With Mr Vishal Gandhi Md Of Tiara Silver Pvt Ltd .. Winner of best silver jewellery of india award 2016. 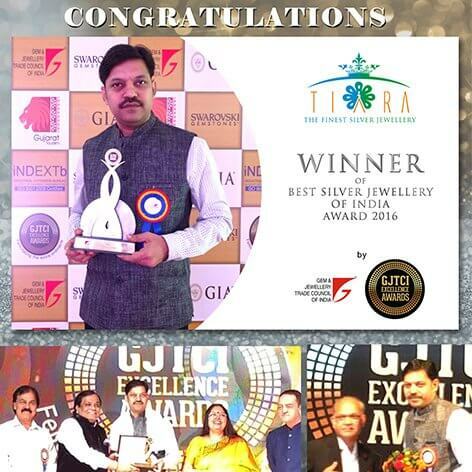 Tiara, one of the finest silver jewellery manufacturers in India offering wide variety of Necklace sets, Pendant sets, Kada, Bracelets, Earrings, Rings and Religious Jewellery was awarded as the best in Silver Jewellery for the year 2016 at GJTCI Excellence Awards organised by GJTCI. Regarded as one of the prominent and respected jewellery awards in India GJTCI Excellence Awards is a recognition of Tiara's assurance of highest quality jewellery to the clients and a reputation to create intricate Silver Jewellery pieces catering to the ever changing preferences . 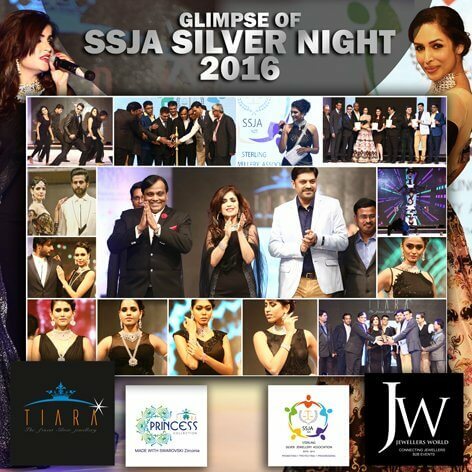 Glimpse of SSJA SILVER NIGHT 2016. In a glittering star studded event, SSJA Silver Night, Tiara has launched its Princess collection , made exclusively with Swarovski CZ, Princess Collection offfers exquisitely crafted Silver Necklace sets and various jewellery products. In a very innovately conceptualised fashion sequence , wellknown Bollywood singer Shibani Kashyap walked the ramp along with the models and launched Princess collection in a live song sequence. The audience comprising of India's leading jewellery retailers and manufacturers appreciated the collection for its exquisite design and excellent manufacturing quality. Tiara played cricket premier league. Tiara always belived in bringing the jewellery fraternity together. It is an active member of Jewellery Yout Forum which works for the betterment of the fraternity. An united industry is stronger and grows together. Continuing with this vision, Tiara played a key role in conceptualising and creatingIndia's first jewellers' cricket premier league, JYPL. 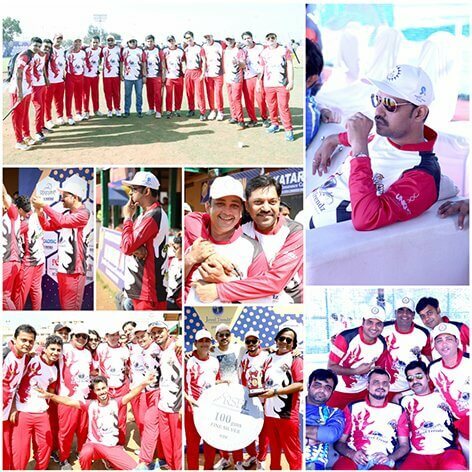 Tiara is one of the proud jewellery manufacturuers who own a cricketing team Tiara Tigers. The league brought the jewellery fraternity together and Tiara is happy to have played a key role in this key project for the industry. Opposite Lohana Samaj Hall, Behind Central Bank. R . T . Street, Banglore : 560053.